Bassem Youssef's incendiary satirical news program, Al-Bernameg ( The Program), chronicled the events of the 2011 Egyptian Revolution, the fall of President Hosni Mubarak, and the rise of Mubarak's successor, Mohamed Morsi. Youssef not only captured his nation's dissent, but stamped it with his own brand of humorous political criticism, in which the Egyptian government became the prime laughing stock. 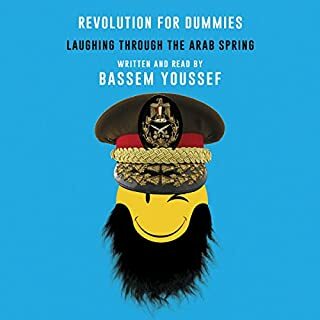 In Revolution for Dummies, Youssef recounts his life and offers hysterical riffs on hypocrisy, instability, and corruption. What a terrible book.. full of generalisations and stereotyping. Nothing original. The author is self righteous and always promoting his own actions with no sign of self reflection.